Imagine gathering your closest family and friends together in one unforgettable place for the purpose of celebrating and commemorating your love? 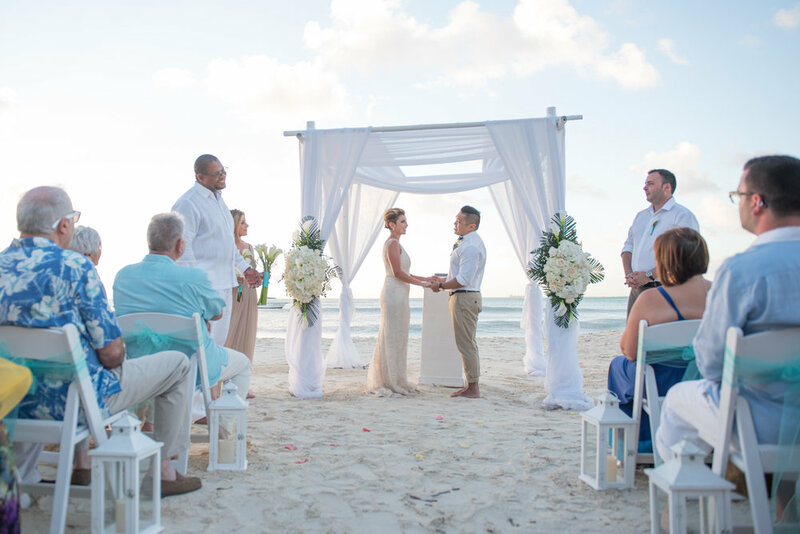 Whether it’s an exotic wedding somewhere in Southeast Asia, a historical wedding in a cobblestone city somewhere in Europe or perhaps a breezy and relaxing wedding in the Caribbean – the magic of a destination wedding is something that is not easily forgotten. Typically destination weddings tend to be smaller in volume and as such, the atmosphere becomes much more intimate; giving you and your significant other the opportunity to truly spend quality time with your guests. Keeping in mind that not everyone whom you have sent an invitation to will be able to attend your destination wedding – this could be due to a budget or a schedule concern. The bright side of that is as your guest list shrinks, so will your overall cost. One of the greatest benefits of having a destination weddings are the pictures that you will get to bring home with you. Just imagine a wedding photo album that looks like it was taken straight out of a travel magazine. With our unmatched skills and quality equipment, HerMan Photography can help transform your memories into stunning visuals that you can keep for all of time.